Click the link to follow FRACTRACKER ALLIANCE – Unveiling the truth behind the industry. Toxic wastewater from fracking jumps 14-fold from 2011 to 2016 — and it may get 50 times bigger by 2030. Excellent resource for daily news related to the Fracking Industry. Changing web content. Unconventional oil and gas production provides a rapidly growing energy source; however, high-production states in the United States, such as Oklahoma, face sharply rising numbers of earthquakes. Subsurface pressure data required to unequivocally link earthquakes to wastewater injection are rarely accessible. Here we use seismicity and hydrogeological models to show that fluid migration from high-rate disposal wells in Oklahoma is potentially responsible for the largest swarm. Earthquake hypocenters occur within disposal formations and upper basement, between 2- and 5-kilometer depth. The modeled fluid pressure perturbation propagates throughout the same depth range and tracks earthquakes to distances of 35 kilometers, with a triggering threshold of ~0.07 megapascals. Although thousands of disposal wells operate aseismically, four of the highest-rate wells are capable of inducing 20% of 2008 to 2013 central U.S. seismicity. The number of earthquakes is increasing in regions with active unconventional oil and gas wells, where water pumped at high pressure breaks open rock containing natural gas, leaving behind wastewater in need of disposing. Keranen et. al. show that the steep rise in the number of earthquakes in Oklahoma, USA is likely caused by fluid migration from wastewater disposal wells. Twenty percent of the earthquakes in the central United States could be attributed to just four of the wells. Injected fluids in high-volume wells triggered earthquakes over 30 kilometers [almost 18.6 miles] away. Robert W. Howarth · Renee Santoro ·Anthony Ingraffea The Author(s) 2011. Abstract: We evaluate the greenhouse gas footprint of natural gas obtained by high volume hydraulic fracturing from shale formations, focusing on methane emissions. Natural gas is composed largely of methane, and 3.6% to 7.9% of the methane from shale-gas production escapes to the atmosphere in venting and leaks over the lifetime of a well. These methane emissions are at least 30% more than and perhaps more than twice as great as those from conventional gas. The higher emissions from shale gas occur at the time wells are hydraulically fractured—as methane escapes from flow-back return fluids—and during drill out following the fracturing. New U.S. oil well applications dropped nearly 50% last month as fracking comes to a grinding halt. 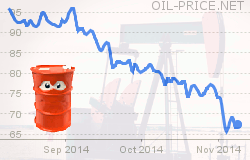 Recent falls in oil prices alter the financial dynamics of oil extraction. Certain sources of oil entail lower costs than others. For example, conventional pumped oil extraction in high pressure onshore wells costs relatively little to set up and operate, whereas remote oil fields beneath icy seas require specialized equipment and override wages to locate and extract. When the oil price rises, more difficult oil fields become economically viable, when the price falls, the margins of extraction remove the viability of certain sources. Hydraulic fracturing in the United States has provided an unexpected source of oil. However, it has contributed to an oversupply that could soon cause fracking production to shut down; as a matter of fact applications for new U.S. well permits dropped by nearly half last month. US oil production is slowing down because of low oil prices and today we’ll explain the reasons for that decline and explore the solutions. Fracking for oil and natural gas is too dangerous: it threatens the water we drink, the air we breathe, and our health. It also accelerates climate change. That’s why we need to ban fracking now. Fracking, also called “hydraulic fracturing,” is a destructive process that corporations like Halliburton, BP and ExxonMobil use to extract natural gas and oil from rock that lies deep underground. They drill a deep well and inject millions of gallons of toxic fracking fluid – a mix of water, sand and harsh chemicals – at a high enough pressure to fracture the rock and release the oil or gas.Fracking is exempt from major environmental laws, including the Safe Drinking Water Act, and spills and accidents are far too common. As a result of recent technological innovations improving the ability to extract oil and natural gas from shale and other rock formations, the popularity of hydraulic fracturing, or fracking, has surged, leading to new investment opportunities and positive growth for the domestic gas and oil production industry. With the expansion, however, has come risk and scrutiny. To help quantify and qualify those potential risks, and in response to escalating public concern, Congress directed the U.S. Environmental Protection Agency (“EPA”) to conduct a study into the potential impacts of fracking on drinking and ground water. A first report of results is expected by the end of 2012, with a final report to be released in 2014. The case for taking action on climate change has never been clearer: as the third National Climate Assessment states, the U.S. is already experiencing the effects of climate change, from increasing heat across the country to more extreme weather events totaling billions of dollars in damage. Given these impacts, and much worse to come, the cost of inaction to our health, environment, and economy is far too great, especially when effective and low-cost means for reducing climate-warming pollution are available now. Donations are critical to continue the fight against MVP, fracked gas pipelines, and the use of eminent domain for capital gain. Your tax deductible donations can be put to work in many ways. For attorney and legal fees. For research and studies to counter MVP claims. For public awareness materials.